Note from TTSS: This change could be very detrimental to habitat for Trumpeter Swans and many other fish and wildlife. 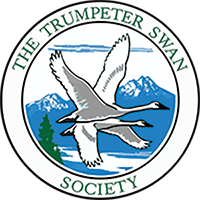 The Trumpeter Swan Society's recent purchase of two swans for our Oregon Restoration Project was shared on Associated Press. BEND, Ore. (AP) — Oregon's trumpeter swan breeding program has a new pair of the elegant white water birds as part of its ongoing bid to restore the population of the species after it was hunted to near-extinction. 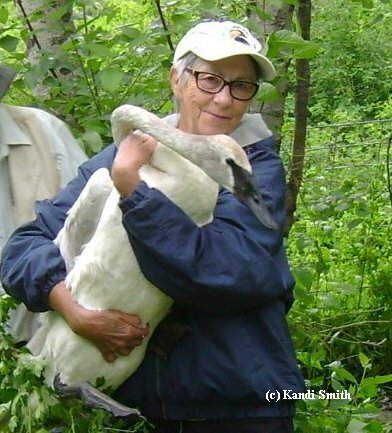 Note: Topeka Zoo cygnets have been used in The Trumpeter Swan Society's Oregon Restoration Project. byNew York Times, Written by Marguerite Holloway. Photographs and time-lapse video by Josh Haner. Your Children’s Yellowstone Will Be Radically Different. Yellowstone National Park is famous for stunning geysers and big game that attract four million visitors a year. The park has played a pivotal role in the preservation of bison, gray wolves and grizzly bears and Trumpeter Swans. But the warming climate has brought changes so quickly that plants and animals may not be able to adapt. An arranged marriage! TTSS recently purchased this pair, a 4-year-old male from Pennsylvania and a 3-year-old female from Indiana, to hopefully mate and produce cygnets for our Oregon restoration project. The video posted on our facebook page (November 14, 2018) was taken shortly after they first met this Monday, when they were placed on their new home at Pronghorn Resort, a golf club, near Bend Oregon. Video and photos by Gary Ivey. Read more "My Swan Stories" on our 2018 Blog page. 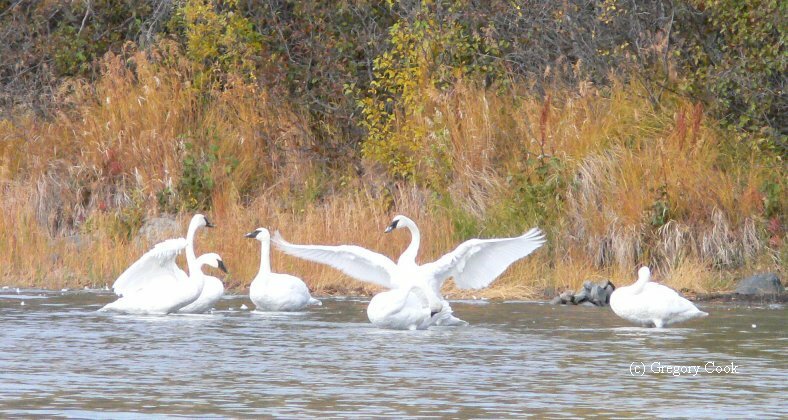 Read how an experience of trumpeter swans can lead to deep delight, partnerships, and a sense of wonder and gratitude. The Oregon cygnet hatched this summer at Aspen Lakes in Oregon continues to grow and thrive. He will be released at Summer Lake, Oregon next spring as part of our Oregon Restoration Project. Read the delightful story of his swan parents, brought together over time and miles through the dedication and partnership of many people and groups. My Swan Story - by Kandi S.
We just returned late last night from a week in Yukon. The fall colors were extraordinary but so was the trumpeter swan viewing on Dezadeash Lake. 6 pairs, sometimes together and sometimes separated. Preening, feeding, resting, paddling around, paddling madly to get in full take-off mode before flying, speaking softly and trumpeting loudly--a fine panoply of behaviors and sounds played out against an overwhelmingly spectacular backdrop of color and Yukon mountains. NICOLLET — An unlicensed hunter might face criminal charges after he shot and killed two trumpeter swans on a Nicollet County lake. Other hunters reported the poacher on Duck Lake early Saturday morning, which was the opener of the waterfowl hunting season. 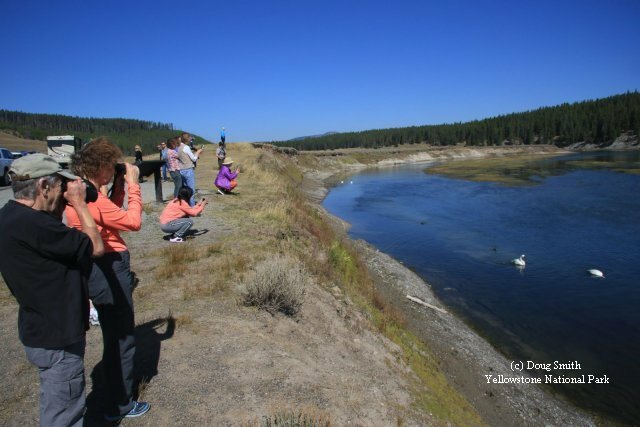 WASHINGTON STATE: Good news for winter swan habitat in Washington! The Trumpeter Swan Society is a partner in this grant to conserve 1,536 acres of habitat in Washington’s North Puget Lowlands. The North Puget Lowlands Project is a collaboration to conserve priority wetlands and bird habitats in the North Puget Lowlands Ecoregion of the Pacific Birds Habitat Joint Venture. This project will conserve 1,536 acres of freshwater wetlands, estuaries, winter flooded agricultural lands, natural shorelines and riparian forests. Partners with this grant include Washington Department of Fish and Wildlife, Snohomish County, Lummi Island Heritage Trust, Skagit Land Trust, Trumpeter Swan Society, Stillaguamish Tribe of Indians, and several private landowners. More than $2.1 million in state and non-federal funding was leveraged to secure this grant. 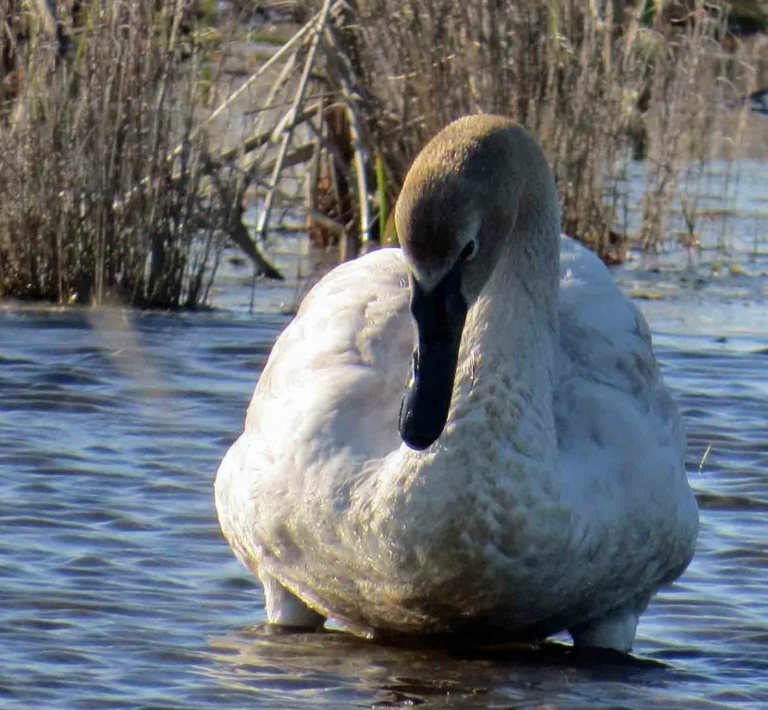 Read more..
Read about changes to the Migratory Bird Treaty Act that are weakening bird protections, including those for Trumpeter Swans. Read more and learn what you can do. Iowa has scheduled at least 9 swans to be released in southern Iowa in early May. Cygnets from TTSS's partnership with the Oregon Department of fish and Wildlife and the United States Fish and Wildlife Service are released at Summer Lake, Oregon. The cygnet's father was shot on Thanksgiving Day, 2017 while on a river in Sunriver, Oregon. Two Ontario swans, from different families, pay a visit to Pennsylvania, enchanting the public.